The Council Bluffs Public Library is designed to meeting the changing needs of Council Bluffs citizens, families and businesses. They offer children, teen, and adult services to meet specific requests for a variety of ages.They also have a tech lab with all of the tools and programs to allow you to keep innovating. Explore their site to learn more about what the Council Bluffs Library has to offer. Council Bluffs Public Library needed a better way to communicate to the community everything it has to offer. Users were missing out on free events and resources, and weren’t fully utilizing the library. In addition, the branding did not reflect the architecture and design of the library itself. Using a modular and colorful design, users of any age could easily navigate and use the site. 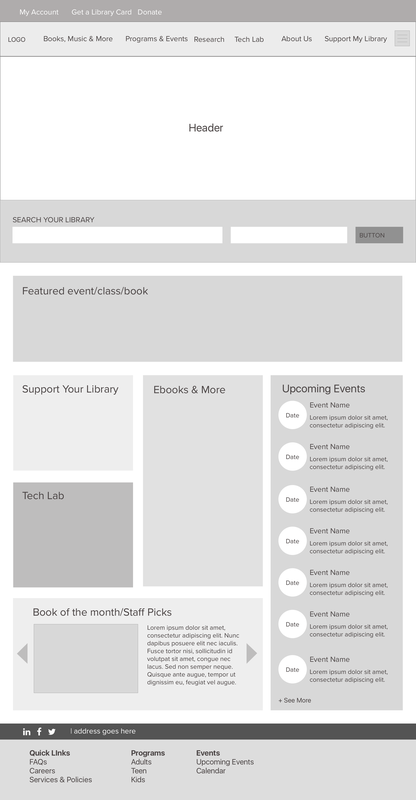 We installed a robust calendaring system to organize and present all of the library’s events. Custom-built elements like Staff Picks and Featured Reads keep the site dynamic and always up to date. Finally, we integrated the third-party database so users can seamlessly transition from the website to the database to fulfill their request. Our time-tested and proven expertise is executive search and talent acquisition; our passion is helping you to succeed by building the absolute best team possible.